Skies 39 is a 99-year leasehold condo development located at Lorong 4 / 6 Toa Payoh, Singapore, minutes walk to Braddell MRT Station. Skies 39 is expected to complete in April 2020 and it will comprise of 2 towers and 578 units. Skies 39 is close to United Medical Centre and Macritchie Reservoir Park. Facilities at Skies 39 include a 50m lap pool, gym, fitness station, tennis court, clubhouse, function room, multi-purpose room and playground. 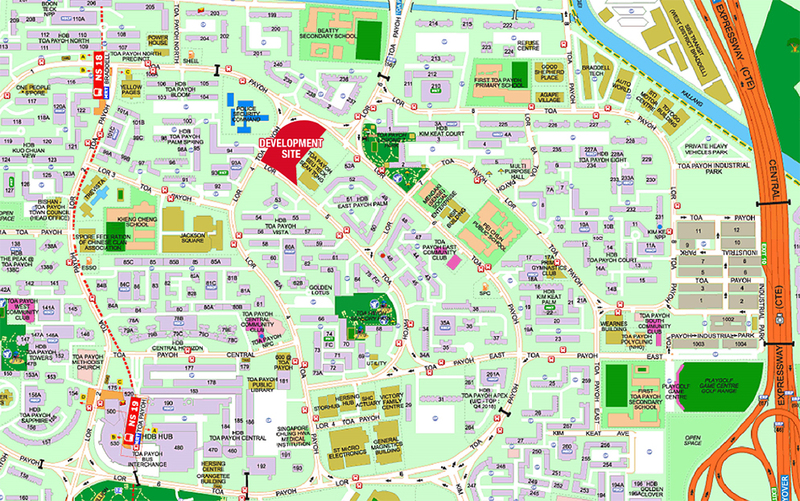 Skies 39 is close to several schools, such as Raffles Institution, Guangyang Secondary School, and Curtin University of Technology. Residents of Skies 39 can drive down to Toa Payoh Town Centre for a wide range of amenities such as restaurants, supermarkets, banks, cinema, library, bus depot, and more. For vehicle owners, driving from Skies 39 to either the business hub or the vibrant Orchard Road shopping district takes 10 - 15 minutes, via Central Expressway. Skies 39 is a 99 year leasehold new condominium development located at Toa Payoh Lorong 4 / Lorong 6. Expected to be completed in April 2020, it will comprise of 578 residential units.